Analyst/strategists like you are the reason for a dead horse ie Indian Armed Forces. Only one Pak submarine serviceable (bloody joke), economically vulnerable Pakistan ( whose side you really are?) blah blah. Pakistan has never taken its enemy easy. Therefore it has always shown more resolve. 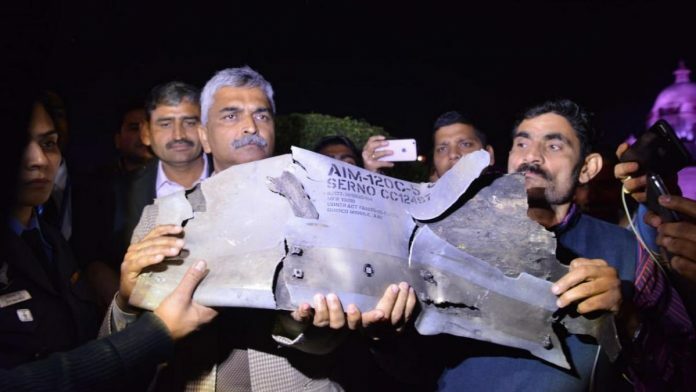 A bloody Air Force of 700+ aircraft against 350 odd fighters with post Pulwama baggage can only be termed as an unprofessional horde and burden on a nation of 1.4 billion. Painting Pakistan as vulnerable is like doing disservice to Indian Armed Forces who tend to further relax. Miscalculation or misjudgment regarding Pak response to any future aggression would most likely strip India of any regional status which it is trying desperately to acquire courtesy USA. Capture of Abhinandan, restricted our full scale response. The next 2 days, focus was on his retrieval rather than punitive action against Pak misadventure. However, given the bad financial status of Pak, India should continue to keep up the pressure by artillery and aggressive combat fighter manouvers to bleed Pakistan daily in trying to defend against these onslaughts. If our fighters go unchallenged they should attack military installations on the other side to send the message. What part of word “Stand Off” weapons you are unable to comprehend?? IAF fighter planes shot their spice missiles from a distance of 100 kms. So no free hall pass any time soon in the future even with rafaele. If u will strike our military installations we will strike back with 3 times more force. So kindly analyse higher end spectrum of escalation ladder when missiles will be running havoc in delhi, Vishakhapatnam, Madras, Port Blair, Banglore, Raipur, Patna, Gandhi nagar, Mumbai etc. At least wait for S-400 before seeing such dreams, it might be able to shoot down 25% of hundreds of missiles flying towards those cities.